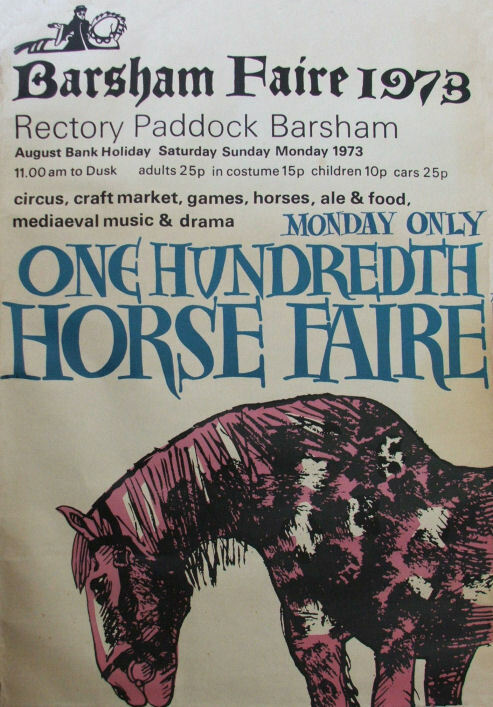 The first fair on the Rectory Paddock at Barsham. The first appearance of Incubus Theatre. I have spoken with my dad (Jim Took, Special Constable at Beccles from 1972 - 1984) he tells me that the vast police operation of two regulars and a smattering of specials was organised by Inspector Alan 'Fogdust' Farman who kept an eye on events from the beer tent. Apparently he was known as Fogdust as it was just as rare to see him as it was to find fogdust! 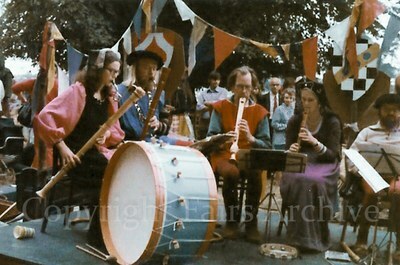 Dads’ memories of the Barsham Fairs is of them being very happy, fun carefree events with none of the problems that seem to occur at large events now. He feels the fairs reflected the times in general and the mad, simple fun that was had, he has commented that the opportunity to help police events like the fairs were one of his main motivations for joining the Specials (He only made 1 arrest in 12 years, make of that what you will) He did bemoan the fact however of trying to deal with a traffic jam which found it's way towards Worlingham! !